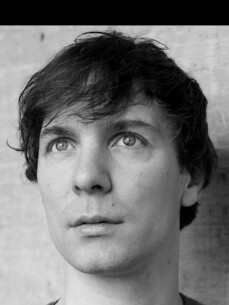 Tobias Thomas, born 1970, has been a member of the Kompakt family since the very early days. He has worked as a DJ since 1990, and has been involved in many collaborations & projects including Forever Sweet and Thomas/Mayer. He has sat at the remix desk alongside Dettinger, Superpitcher, Jörg Burger, Geiger, M.Mayer and Reinhard Voigt. As the former editor of the German music magazine SPEX he’s done interviews with Sven Väth, the Pet Shop Boys, Westbam, Depeche Mode, Wolfgang Tillmans, Erlend Øye, Justin Timberlake and many others. Together with all other editors he left SPEX for good in the end of 2006 as a reaction to its mysterious move to Berlin. For eight years, from 1998 to 2006, he has hosted the weekly Total Confusion night with Michael Mayer and Superpitcher in the famous Studio 672 club in Cologne (other resident nights include the Panoramabar in Berlin and the Robert Johnson in Offenbach). As a DJ he played in more than twenty countries and on four continents. He released three mix CDs, ‘Für Dich’ (1999), ‘Smallville’ (2003) and ‘Please Please Please’ (2007) on Kompakt and – with Forever Sweet – the album ‘Geben & Nehmen’ on Ladomat (1998).